Video: The best part of camping for some people is getting out in the middle of nowhere and looking at the stars. For others, it's just getting together with friends and having a good time. 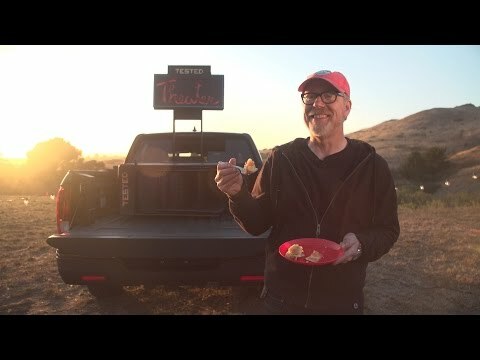 Over on Tested, Adam Savage goes for the latter and builds a portable movie theatre made for camping. Brief news items of note for Lifehacker readers, including: Truckie dash cam disasters, craziest concept cars, is the GoPro Hero5 worth the money?